Lee Glazer, associate curator of American art at Freer|Sackler, takes a closer look at American art this month in honor of the 90th anniversary of the Freer Gallery of Art, which opened its doors to the public on May 2, 1923. It may come as a surprise to learn that Charles Lang Freer, captain of industry, connoisseur of fine art, and, eventually, founder of the Freer Gallery, was also a fan of banjo music. In 1897, he arranged for a famous banjo trio, the Doré Brothers, to travel from New York City to Detroit, where they performed at a formal dinner at the exclusive Detroit Club in honor of club-member Russell Alger’s appointment as Secretary of War under President McKinley. (Alger, a Civil War veteran, had made a fortune in the lumber business and was a major shareholder in Freer’s Peninsular Car Company.) On the evening of January 20, the Doré Brothers played a specially commissioned piece, “The Detroit Club March.” Freer, writing to American artist Thomas Wilmer Dewing (another Doré Brothers fan), praised their performance as a great success. 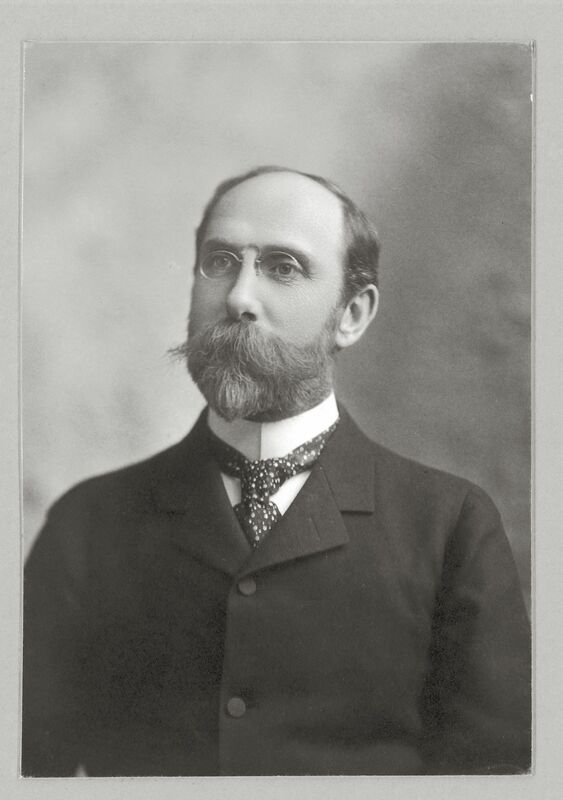 Was there a wild and crazy guy behind that pince-nez and starched collar? Maybe … but then again, maybe not. In the last decades of the nineteenth century, there was a movement among some musicians to “elevate” the banjo, distancing it from its African origins and subsequent association with minstrel shows. By the 1880s, the banjo had become nearly as popular as the piano among wealthy, novelty-seeking young women. It was a full-blown fad on college campuses, whose banjo clubs typically performed orchestra-fashion, with guitars and mandolins. Professionals, among them the Doré Brothers, appeared in tuxedos and played serious European music arranged for banjo: well-known works by Wagner, Liszt, Mendelssohn, Schubert, and Chopin were all part of the banjo repertoire in the 1890s. “The Detroit Club March” wasn’t exactly high art, though, and it’s nice to think of what one Gilded Age critic called the banjo’s “half-barbaric twang … in harmony with the unmechanical melodies of the birds” enlivening a winter gathering of capitalists in black tie. Previous Post Previous Post: Slow Down for Art! Next Post Next Post: They Came. They Saw. They Took Their Time.